Nissan’s new concept is said to have the latest autonomous technology. With autonomous cars becoming the main talking point of the future of automotive industry, every manufacturer is busy developing concepts that preview a self-driving future and showcase new technologies that are slowly making their way into road cars. Nissan has become the latest carmaker to come up with such a concept that will be shown at the Detroit Motor Show next week. No details have been given out but the concept has been teased in two videos released by the company. The first video shows flashes of the car, specifically the front right and headlights. The preview suggest that the car will have a sleek body shape and feature Nissan’s latest design language. Nissan has invested a lot into autonomous cars as part of its Intelligent Mobility plans. 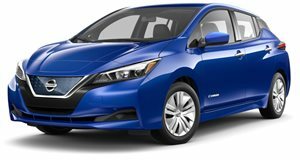 Called Propilot, the autonomous driving technology has made its way into their road cars and the latest Nissan Leaf gets the most advanced Propilot tech yet. The car has an autonomous parking system and can steer, brake and accelerate on its own on highways and single-lane low-speed traffic. We can expect to see the latest developments of the Propilot on the new concept. It should give us an idea as to what can be expected in the company’s future products and preview the future of mobility. Nissan says that it has sold more than 75,000 cars with the Propilot technology. It has been working on the new technologies since 2016, showcasing their progress to stakeholders. The Japanese company has also launched a car sharing scheme with the Micra hatchback.